Always a reliable source of exciting info not yet intended for public consumption, @evleaks has just tweeted a screenshot labeled plainly "M8," the implication being that we're looking at a screenshot from HTC's yet-unnamed flagship phone. 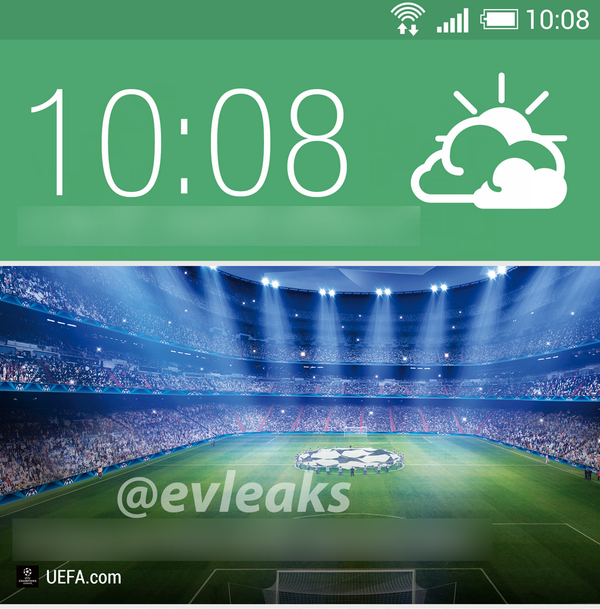 The screenshot looks pretty sharp, featuring white iconography on KitKat-style translucent system bars, and familiar HTC-flavored launcher icons. What's probably more interesting, though, is the presence of software navigation keys. Could HTC finally be ditching capacitive keys? Readers may remember previous rumors indicating the hotly-anticipated handset would be implementing software keys - @evleaks' image would seem to confirm at least that rumor (though there's no evidence for rumors that the nav bar will be swipe-activated), while things like dual rear-facing cameras are still up in the air.